As a parent of a 13 month old, safety is paramount when it comes to having a toddler around. Once they start crawling and walking, they want to go everywhere and get into everything. SafeTOTS offer a huge range of safety products to help you make your home baby & toddler proof. If your little one is anything like mine, he wants to go everywhere! And so a safety gate is one of those must-have items when you have a little one running around. SafeTOTS sell over 100 safety gates to fit all size gaps and prices start from as little as £15.49 and offer FREE delivery when you spend just £50. 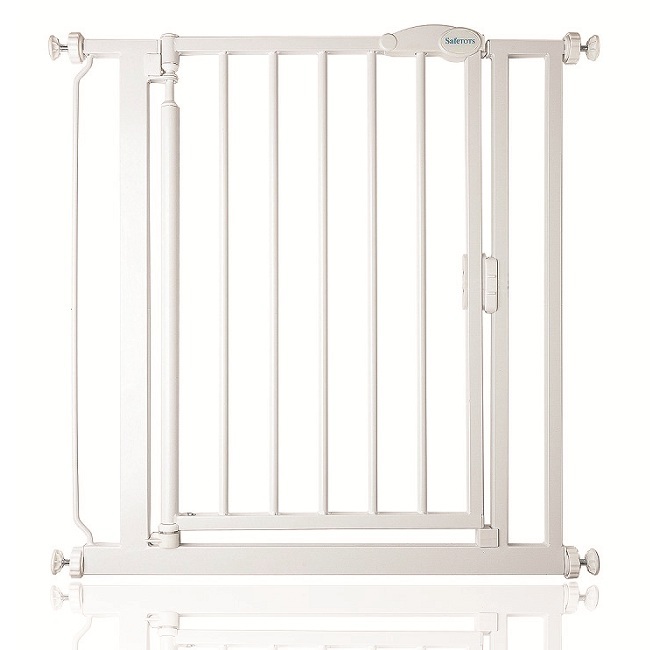 SafeTOTS have an easy to install, self closing safety gate available for a very reasonable £27.99 - SAFETOTS SELF CLOSING GATE WHITE STANDARD 75CM-82CM - and they have kindly given me one to give away to one of my lucky readers. The safety gate you have the chance to win is a pressure fitted gate with self closing mechanism - making it easy for you to get in and out, but keeping your little one safe from escaping. It is suitable for children up to 24 months old. If you would like to win, read the terms & conditions below, then enter using Gleam. my favourite product are the range of UV sunwear. This is my favourite product great for the outdoor hikes and looks comfy for little one. I like the pop up travel cots. The 'SAFETOTS TINY CHARMS COMPACT FOLDABLE HIGHCHAIR'. The self closing gate is awesome! I really like the Safetots Kids Sun Shelter UV Protection Beach and Garden Tent. Love the Littlelife beach shelters, they would be very handy! I like the Sunproof UV Protector and Beach Shelter Large it would be ideal for our trips to the beach. 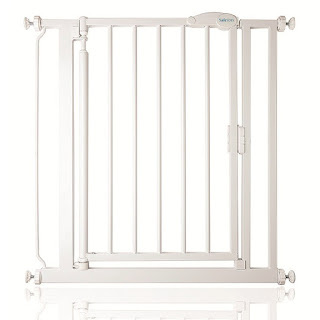 Oh man, how much do I need these safety gates... my 8 month old is a mini escapologist I swear... never a moments peace these days, he's into EVERYTHING! The Safetots Ultimate Balance Bike looks good. Hard to choose just one as they are all such great products for parents but I would have to go for the DREAMBABY HALLWAY SECURITY BABY GATE! The safetots outward opening window lock is my favourite as it is something that I need to get before my youngest daughter moves into her room! I love the Shrunks Toddler Jr Travel Bed - we have 2 for when we go away on holliday ! the compact foldable high chair looks good. I really like The Shrunks Bed Rail, as my 5 year old still struggles to keep her entire body in bed at night. Shrunks Toddler Jr Travel Bed looks brilliant! FAMILY SEAT GEORGIA TOILET SEAT POLYPROPYLENE WHITE - These are great. They have them at Center Parcs and we managed to find one before they became more widely available. An absolute godsend, though we did have to pay over the odds for it at the time! Safetots Bright Feet Compact Foldable Highchair - brilliant price too! The BABYDAN MAGNETIC LOCKS - 8 LOCKS AND 1 KEY SET as you cannot be too careful! The self closing gate to keep them safe. I like the pressure stair gates I've been after one for ages. Ultimate Ergonomic Swivel Bath Seat. I think the Babyden Playpens are great and easy to move from room to room. Safety 1st Comfy Cushion Potty Seat this is just what we need for toilet tranning! The BabyDan BabyDen Playpen in White with a grey mat @ £79.99 is perfect for my needs so is my favourite product. I love the babymoov style changing bags :) petrol is my fave colour. Honestly my favourite has to be these selg closing gates, my older 3 children are always forgetting to close our baby gates behind them and this would give real peace of mind! Babyden playpen and the stairgates, both very very useful!